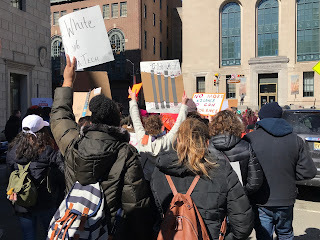 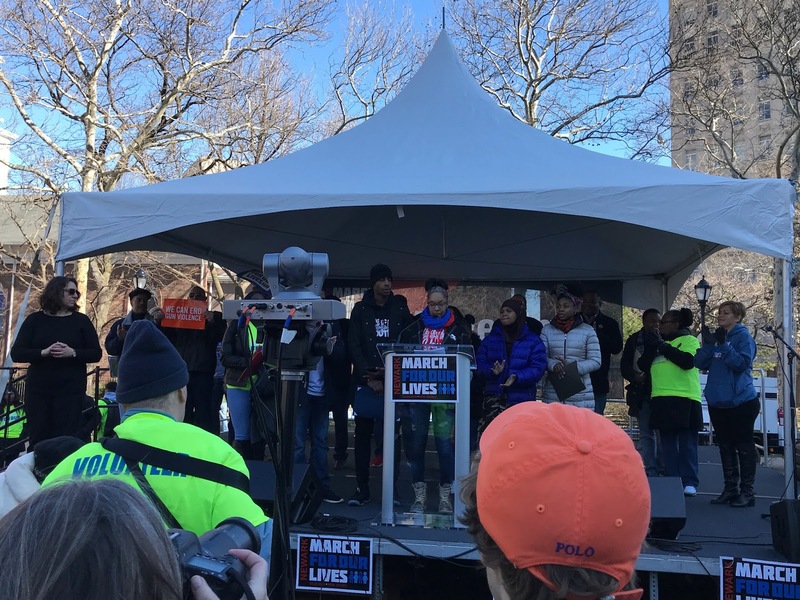 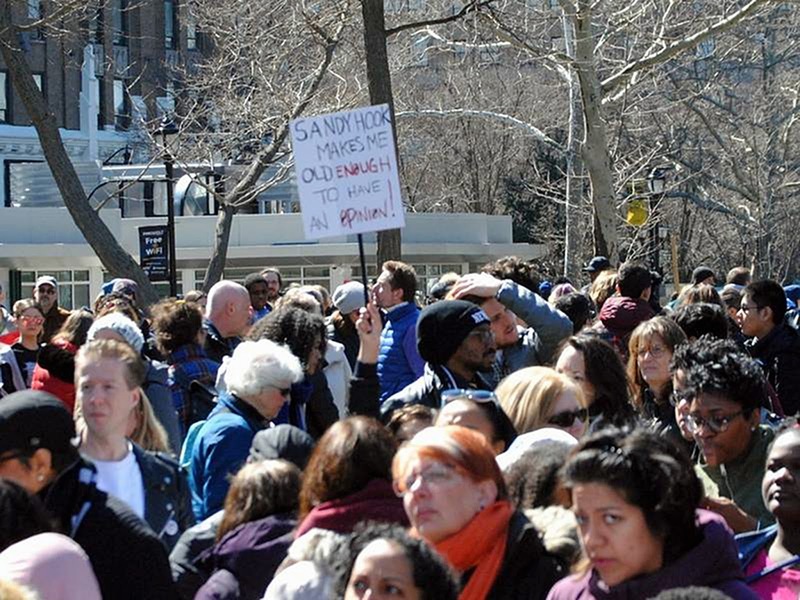 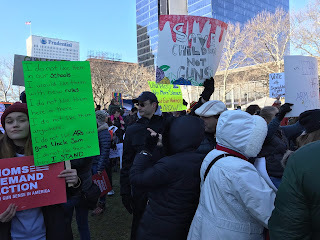 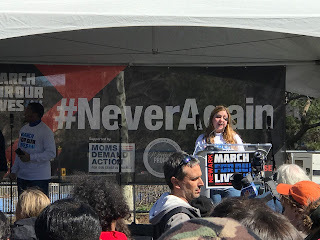 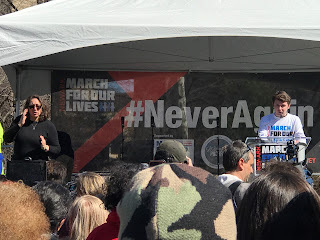 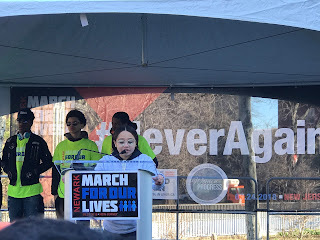 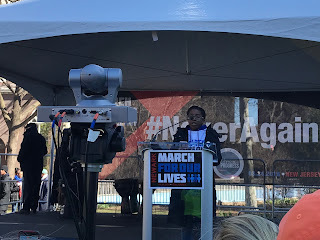 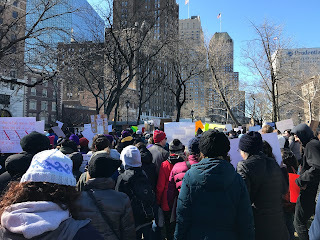 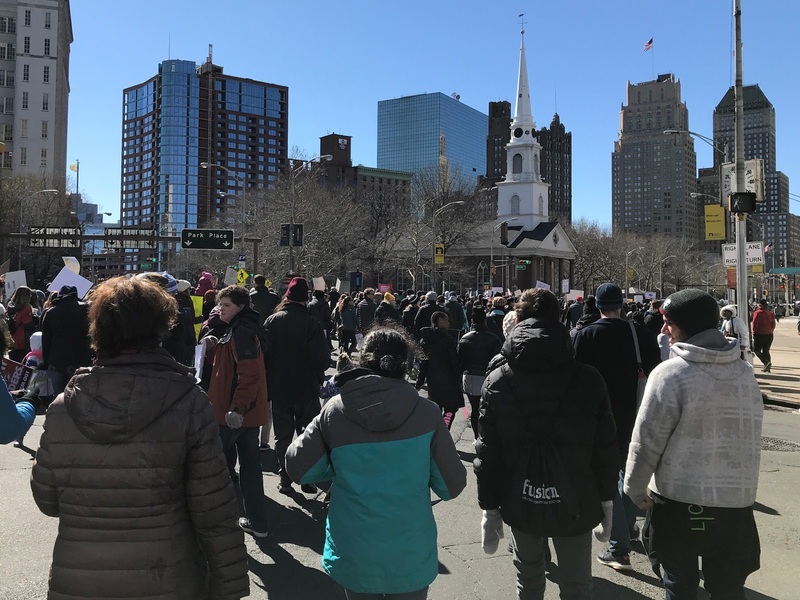 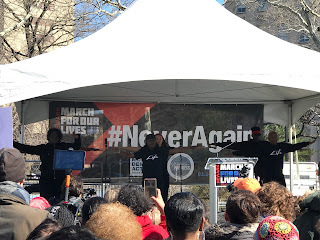 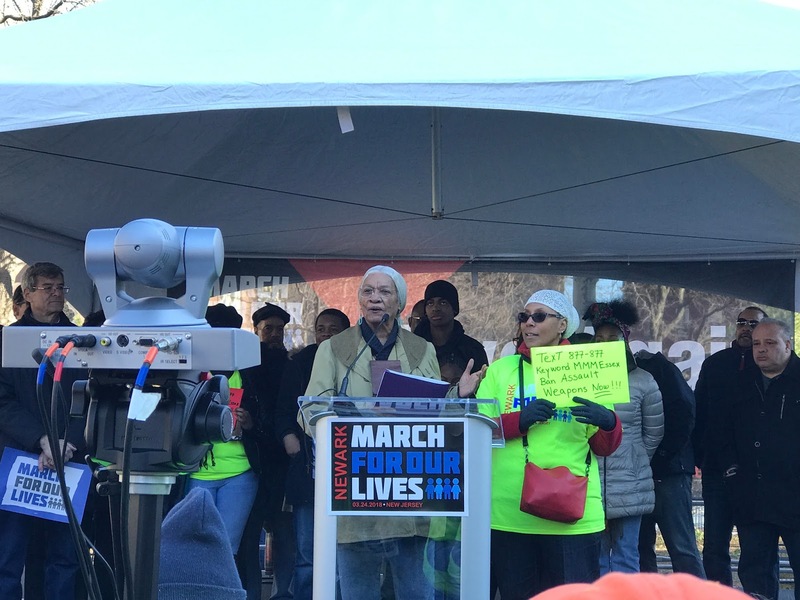 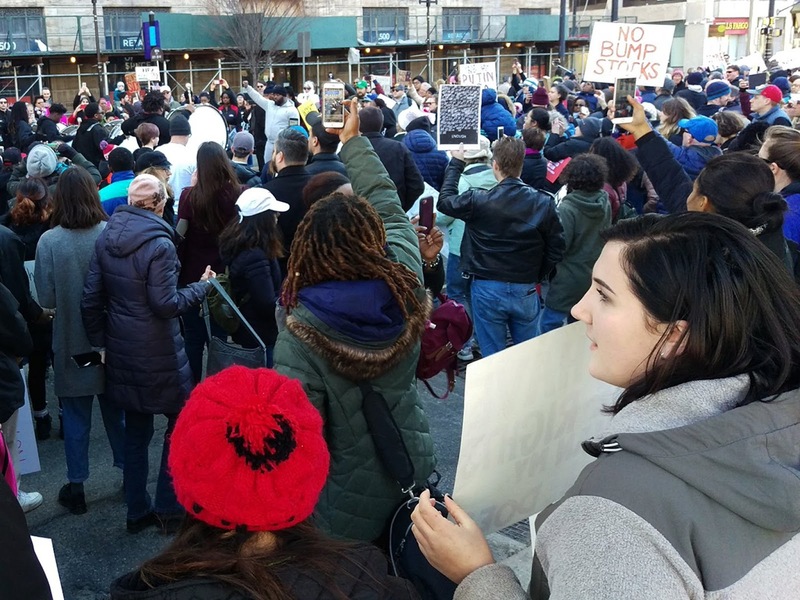 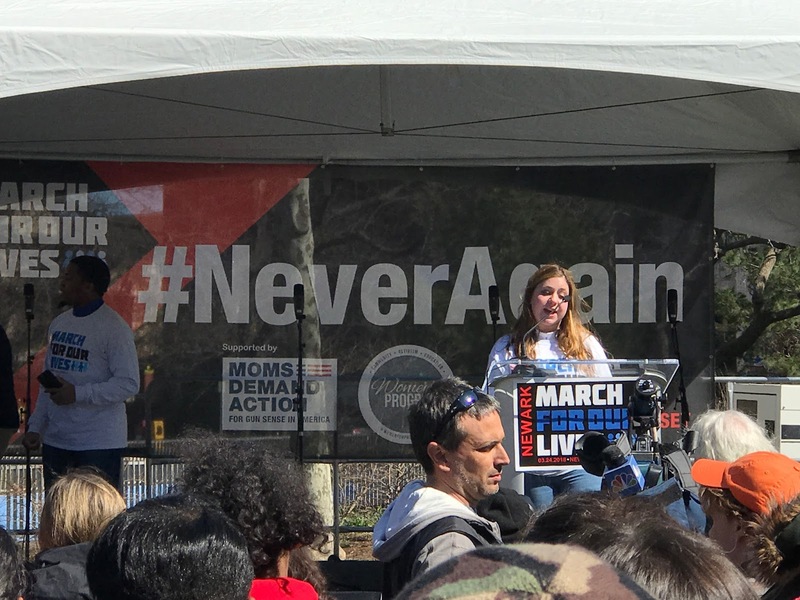 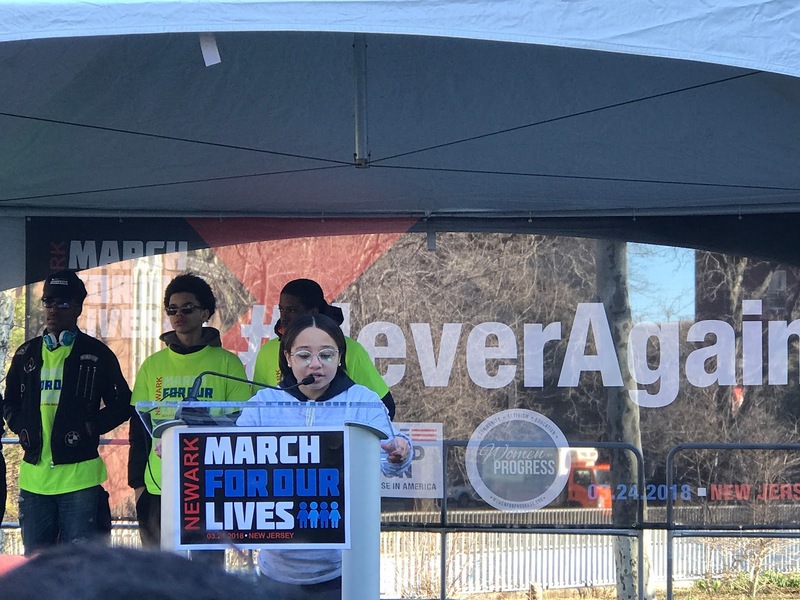 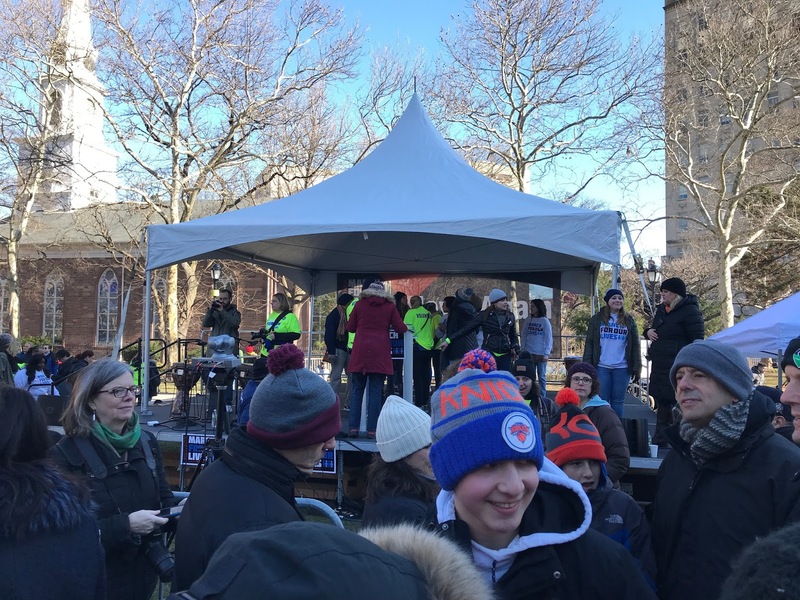 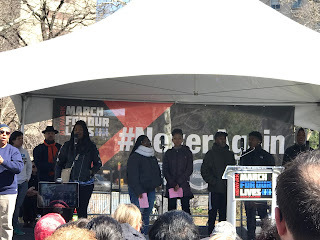 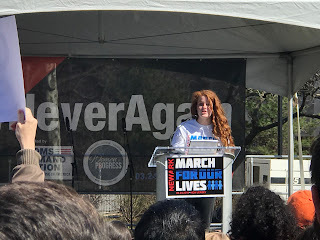 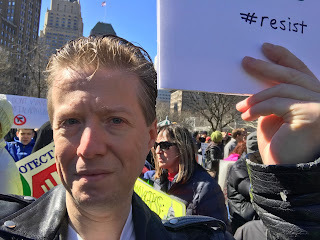 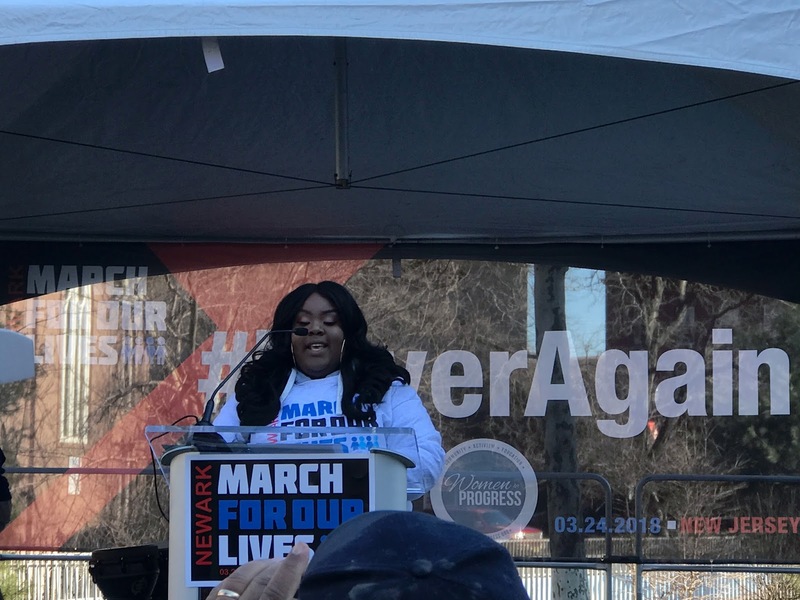 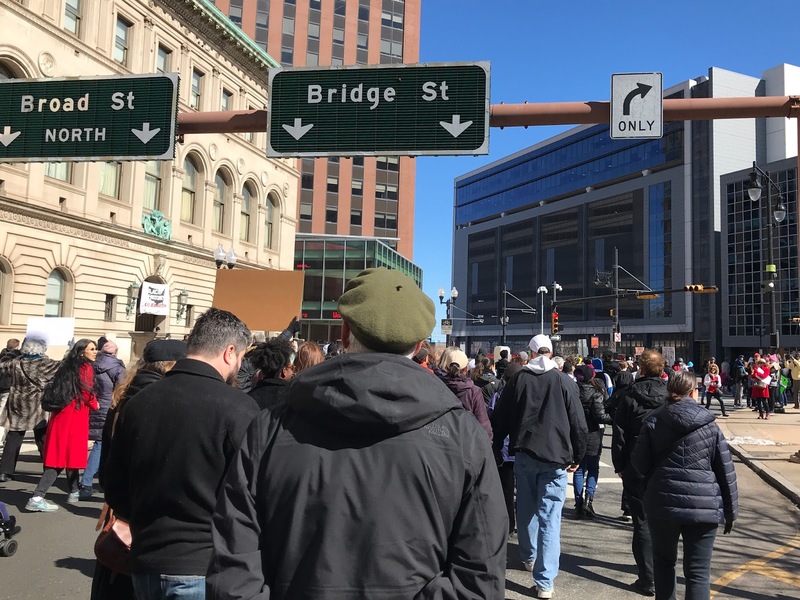 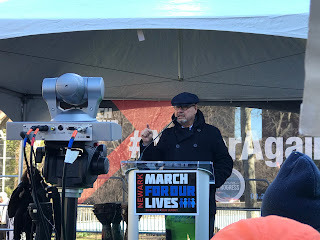 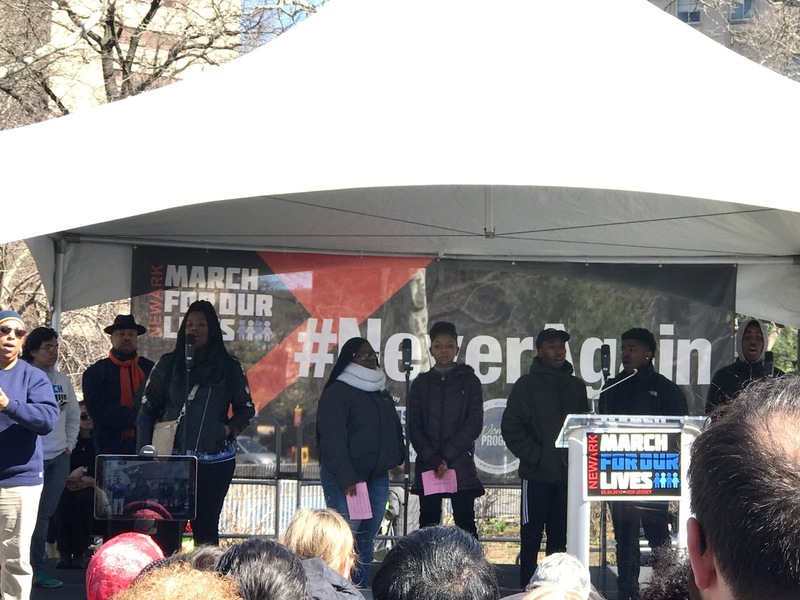 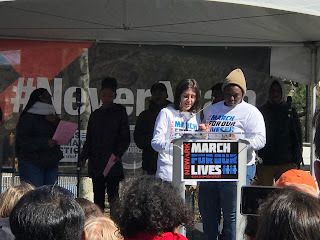 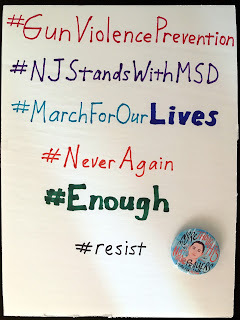 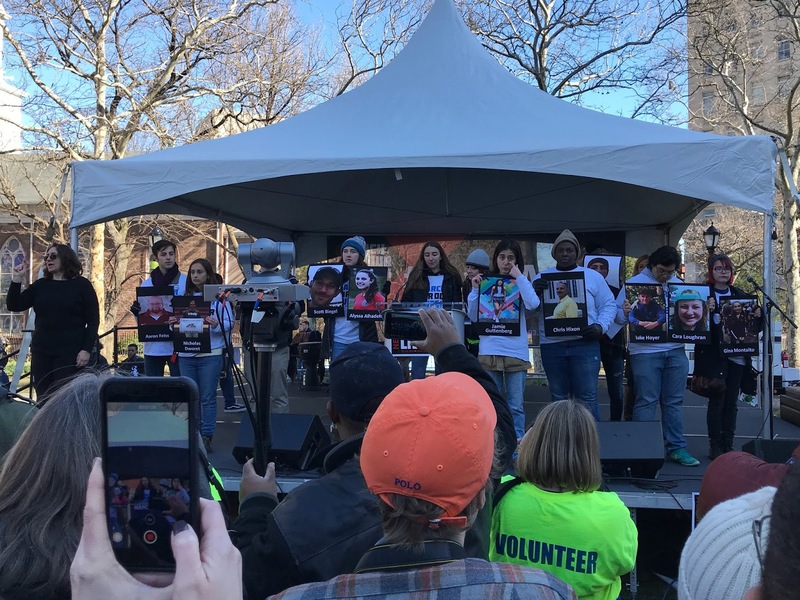 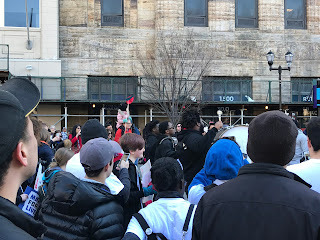 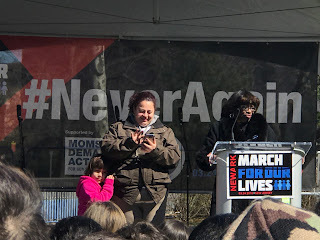 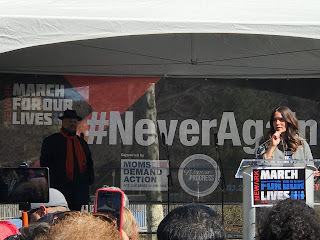 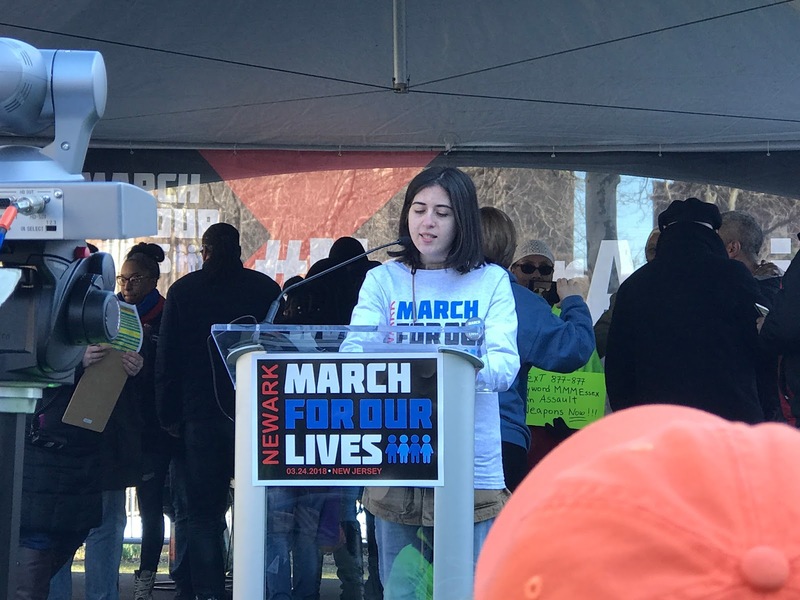 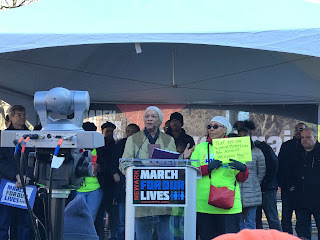 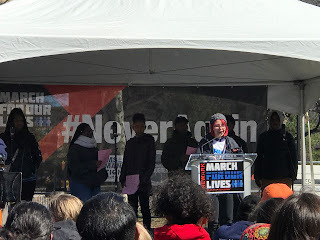 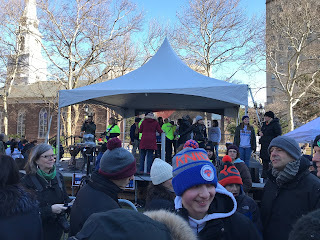 Yes, I took part in the March for Our Lives today, at Military Park in Newark, NJ. I don't have kids, and haven't been a student myself in decades, but that's not the point. While this new movement/moment may have started because the survivors of the Marjory Stoneman Douglas High School shooting in Parkland decided, in their grief and sorrow and rage, that "thoughts and prayers" weren't going to cut it this time, the fact is that gun violence affects a lot of Americans in a lot of environments and for a lot of reasons. 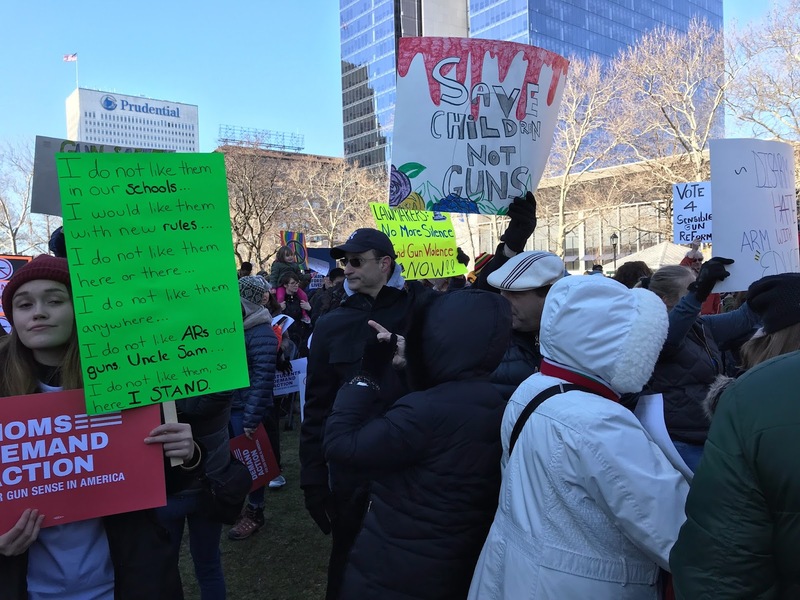 Even if teachers and parents and law enforcement did want the teachers to be armed (and mostly they don't), it's not only schools that have a problem with gun violence. Do we need armed staff at churches, and movie theaters, and concerts, and post offices, and amusement parks, and, well, every public space in America, too? 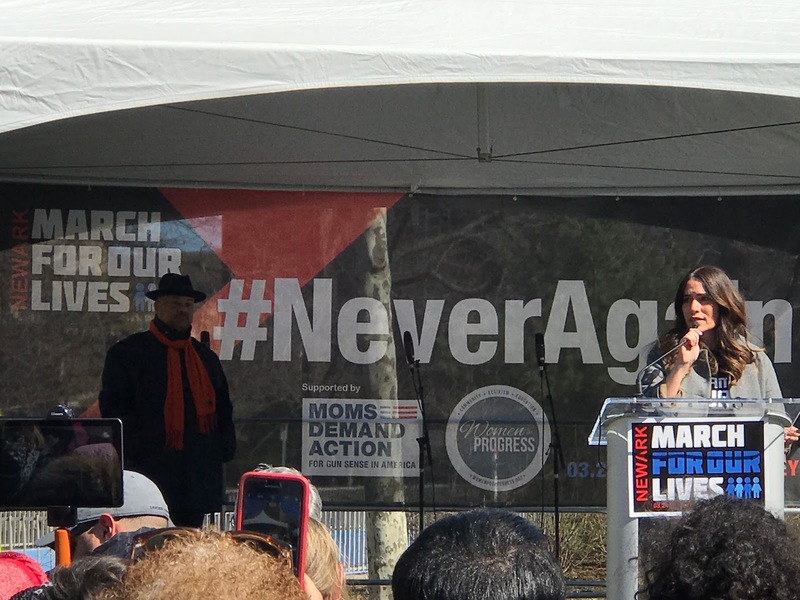 Yeah, the NRA would love that, I'm sure, but the solution to gun violence is not to sell even more guns, just like the solution to the opioid epidemic is not to prescribe even more opioids. 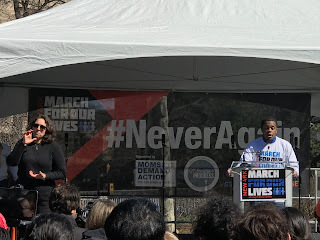 If you're resigned to the idea that you'll someday lose a child, a parent, a significant other, a relative or friend or colleague or neighbor, to gun violence, and you're OK with that because "Second Amendment," well, good on ya. I am not resigned to that, and I don't think any of the rights enshrined in the Constitution and its amendments supersede anyone's right to life. 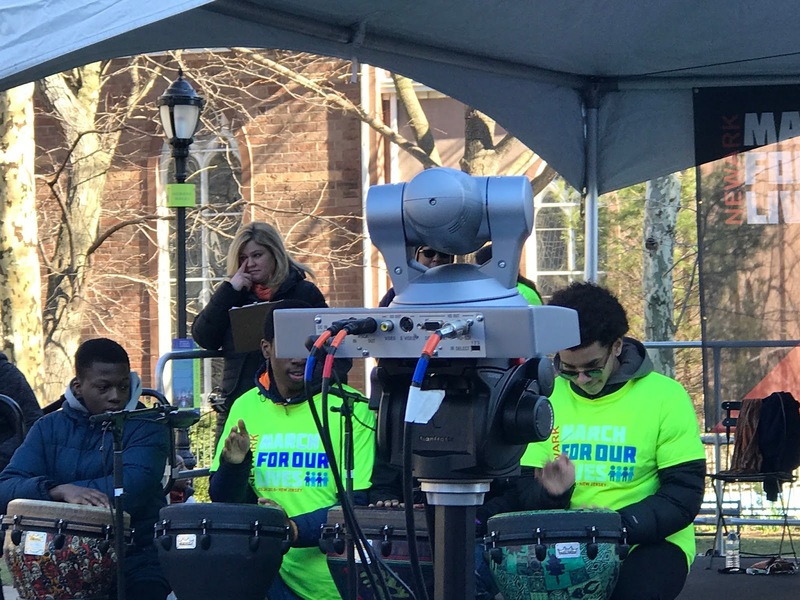 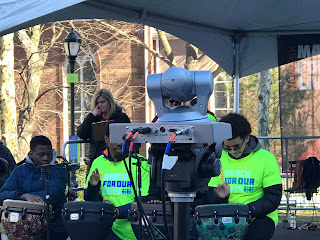 I don't appear to be alone in that belief, either (see NJ Governor Phil Murphy, Darcy Schleifstein, Amina Baraka, Representative Donald Payne Jr., Princess Sabaroche, Sarah Emily Baum, and more in the photos and video below). 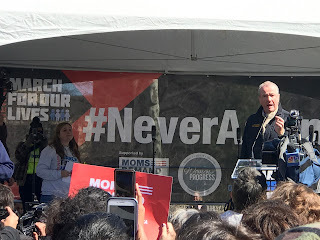 That doesn't mean I have a problem with gun ownership, but it does mean I feel things need to change. It's clear that too many people have too easy access to too much firepower. Closing loopholes, improving access to mental healthcare and communication between those providers and law enforcement, rigorous background checks for all gun sales... these are sensible steps upon which sensible people should be able to agree, which don't require anyone "comin' for yer guns." Hell, even the NRA was once far more amenable to a certain measure of gun control. 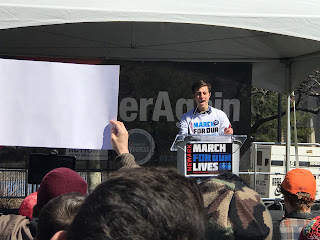 As I've said before, I don't claim to have the answers. 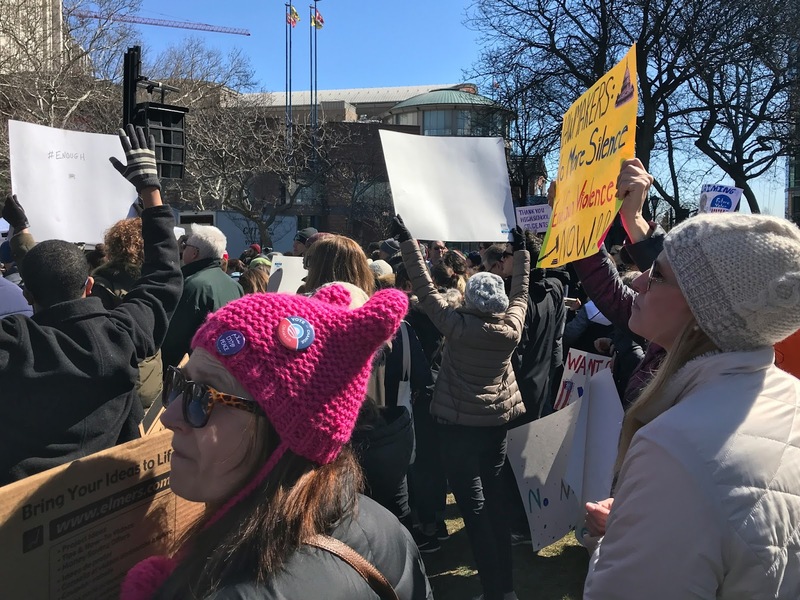 I only know that the status quo is not tolerable, and I didn't need to lose someone close to me to make that determination. 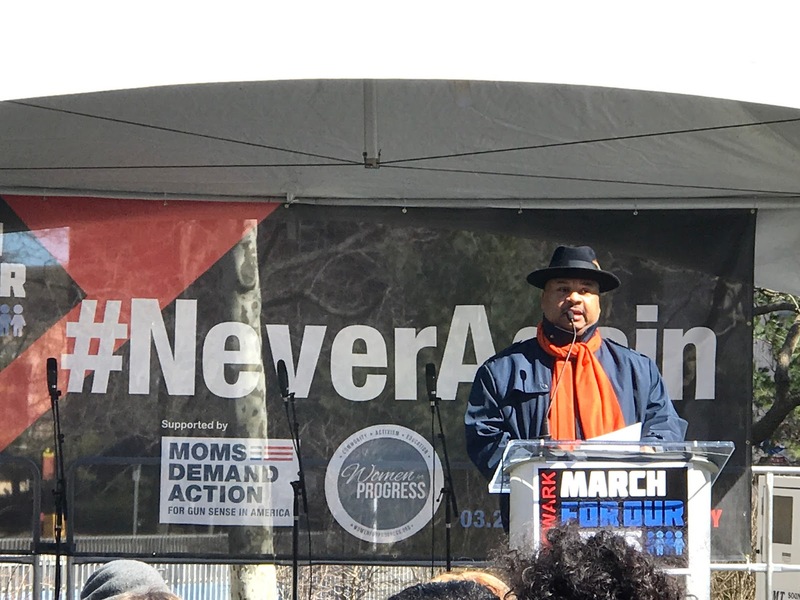 Too many innocents fall victim every single day in this country to gun violence. 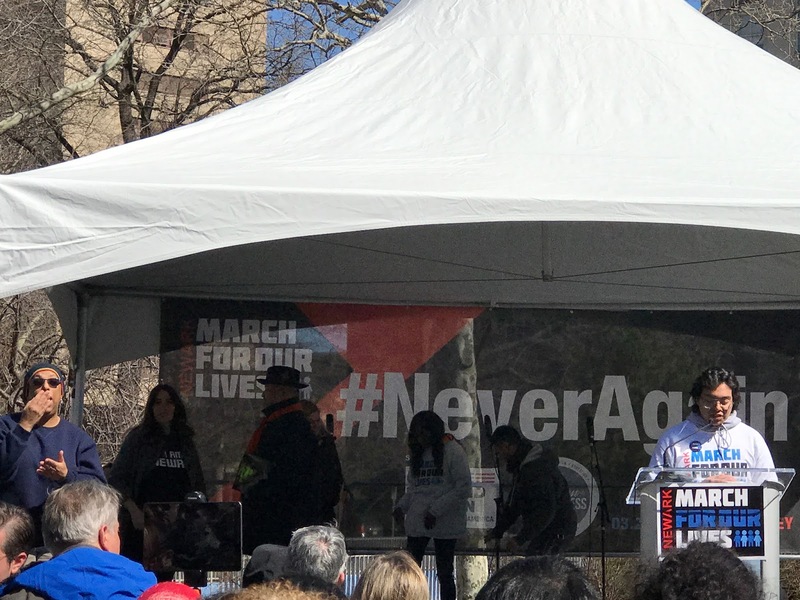 If you want to argue that it's a tiny percentage of the population and a small but necessary price to pay for the freedom to "bear arms," then you might want to check if you have any human emotions left. The equation can't be "guns > people." 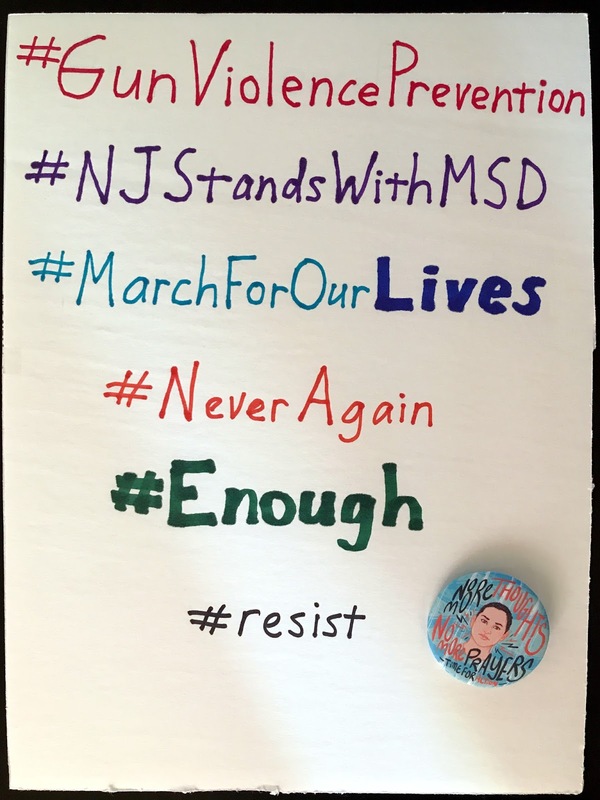 There's room for both, but if you're valuing a thing over a human life, you may want to start seeking some of that mental healthcare now, before you're the next one we're reading about. 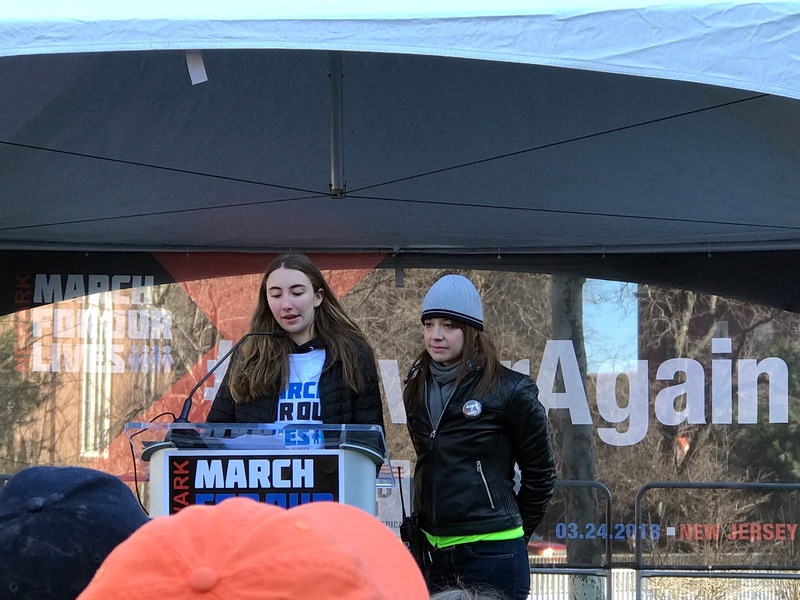 In the meantime, get out of the way; the kids are alright, and they're comin' through!